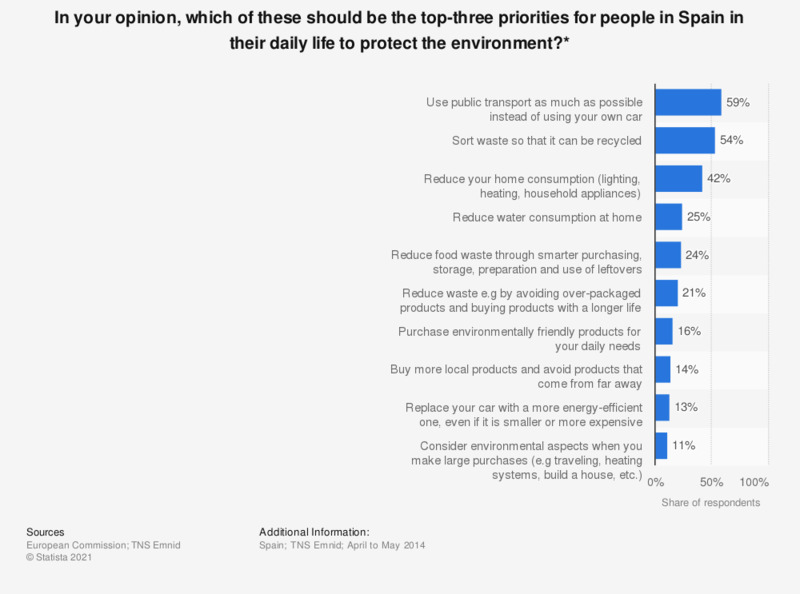 This statistic shows which adults thought should be the priorities for people in Spain in their daily life to protect the environment in 2014. Almost 60 percent of respondents said using public transport as much as possible instead of their own car would be a top priority and waste separation was counted among the top-three by over half of those surveyed. * Source's original question: "In your opinion, which of these should be the top-three priorities for people in the EU in their daily life to protect the environment? (maximal three answers)."